3 Beds 3 Baths 1 Partial Bath 1,679 Sq. 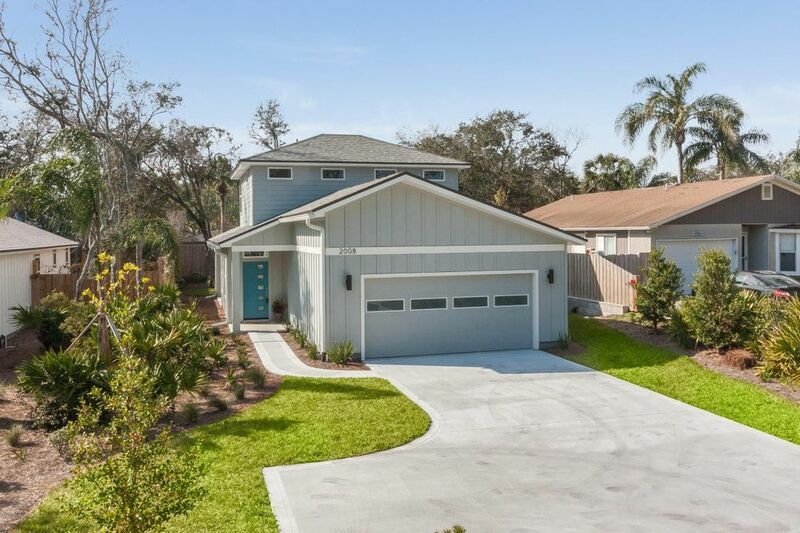 ft.
Hard to find new construction in Neptune Beach under $400,000. Mid-century modern architecture with very desirable open floor plan. Upgrades throughout, beautiful wood floors, exposed wood beams on 1st floor, shiplap paneled walls above staircase. Kitchen with food prep island, white cabinets & granite countertops. First floor master with walk-in shower. Second floor with 2 bedrooms & bath. overlooks large private backyard with plenty of room to add a pool. Covered porch. 1 year builder warranty & $1,000 refrigerator allowance.